Hiya! It is I, Bruce. I am here to tell you about my holiday. Sometimes, when Kate and Tom go away, I get to spend time with Sue and Wal. Sue and Wal are Kate’s mum and dad and they are also my second favourite humans. 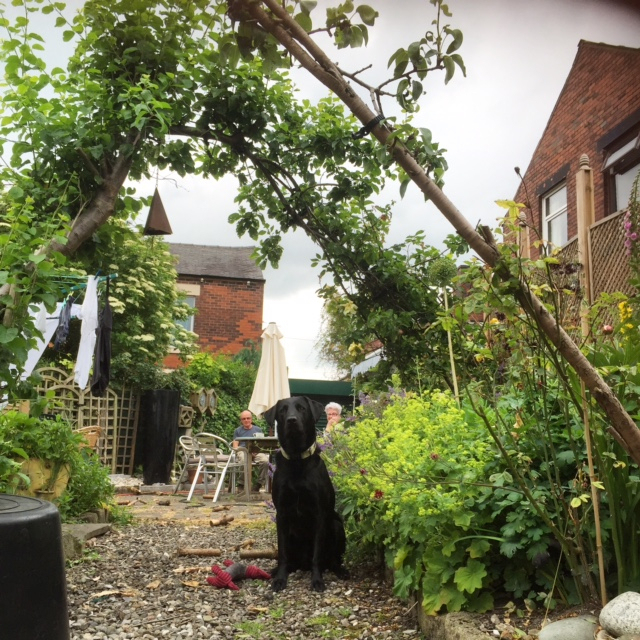 Sue and Wal have a wonderful garden full of many fascinating nooks and crannies and an abundance of new smells. 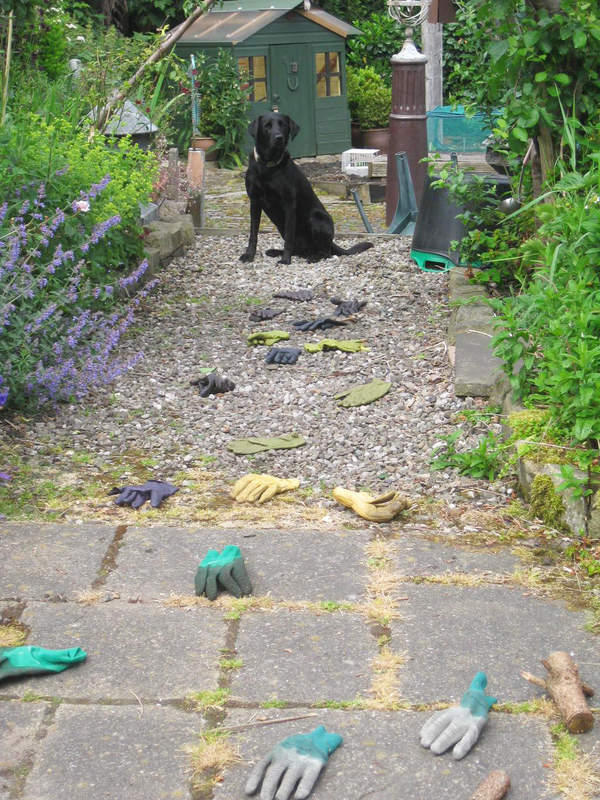 Being in Sue and Wal’s garden means that I get to do many things that I do not get to do at home . . .
. . . such as relaxing with Sue in her garden pod . . .
. . . wreaking merry havok with this interesting collection of gardening GLOVES . . .
. . . and happily chewing up STICKS until I am sick. Without doubt, the best thing about staying here in Rochdale is going for walks with my friend Wal. Together we have walked along many lanes, up many hills, and along many canal paths. These are the same lanes and hills and paths that Kate walked along as a girl, and I have a lot of fun with Wal exploring these interesting places. The best holiday place of all, however, is the place called Springfield Park. At this place there is a lot of green grass, large expanses of water, and many, many flowers. Strangely, though, these grasses and water and flowers are not the same as they are in the places in which I walk and run at home. Wal informed me before entering this place that here these things are in a “park” and that they are “cultivated.” At the time I did not understand the full nuances of these words, but I now think that these words mean that the flowers are not to be jumped through, and the water is not to be jumped in. These words also apparently suggest that one must not run amok among happy picnickers, leap towards a group of fleeing ducks, nor seek to hunt down elusive SANDWICHES, hidden from view in their sneaky plastic boxes. I enjoyed my time in Springfield Park immensely, but for some reason Wal did not seem to enjoy himself quite as much as I did. Most unaccountably – especially given the exciting nature of the place – we never visited Springfield Park again. While I was enjoying myself in Rochdale on my holiday, Kate and Tom were spending time in somewhere called Portugal, where there is sun and swimming. Well, it may be sunny in Portugal but does it have GLOVES or STICKS? Is Portugal the place of parks and sandwiches? Is there a large garden to play in all day and two humans who love to laugh at your antics? I think not. Don’t tell Kate and Tom but I know I got the best deal. Bruce, do you know, has Kate ever thought of publishing your canine thoughts and insights in printed form? It would make very insightful and intriguing reading for us humans and a joy to behold you on the gorgeous photos your humans take. You are a great model, Bruce, a real natural. Um, and between the two of us: yeah, I should say that you are right, you really seem to have got the better end of the holiday bargain! Years ago my dog Shang took a liking to the ducks in Springfield Park and went to join them. Dad refused to let him back into the van so Mum had to walk him all the way home. To Bury, eight miles away. Bruce!!! Love your cheeky grin in the STICKS picture! So glad to hear you had such a good time with Sue and Wal! Jeez Bruce – whose a lucky fellah? I am never ever ever let off the lead unless we are at the Designated Dog Beach where for some reason I am allowed to run free as the wind. Imagine if you and I had been able to race around Springfield Park unfettered by leads and prize winning stop-me-pulling-their-arms off regalia. So far I have broken two so called unbreakable harnesses!!! Yes, snapped them straight through. Can you beat that? Have to go now – got to scratch and spread some dog hair around which drives someone not so far away crazy. Catcha. I love the photo of Sue! She is beautiful! Love you Bruce – and your glove collection! Bruce, when are you planning on bringing out your first book? Your ‘dlogs’ are fantastic and we want more! Glad you had a nice trip and although the park was a bit restrictive it sounds like the rest was full of great smells! We were at a fire look out which means we had to pack in our own food and water. We got to run every where in total BLISS! wonderful – Bruce… you are a great story-teller! I have wandered around Portugal but I agree for a beautiful fellow like you, the garden is the BEST. Oh Bruce! That GLOVES photo is the best! Not to make your human mom feel bad, but I LOVE when you blog Bruce! Enjoy your various vacations everyone! Ah Bruce, you’re great! I loved the fun you had in the park. You’re the best. Life is sweet, isn’t it?:-D. Bruce, I follow this blog for you. You really need to break out and get your own blog. The world needs more of BRUCE! Bruce, you are an artist ! 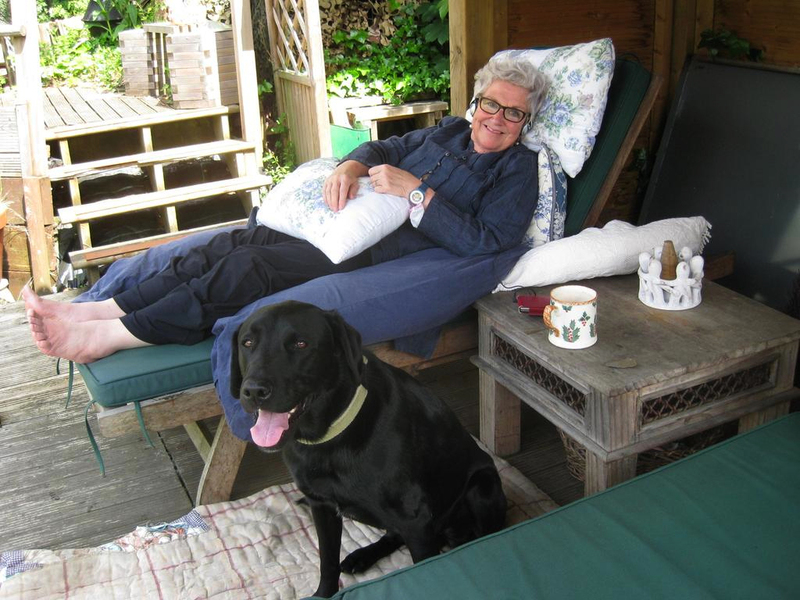 Bruce I think your holiday sounds lovely, with everything you could ask for – I’m so glad you had such a good time! What a lucky pup you are. Wonderfull post! Bruce , I’m sure you’re wright!!!! You are a very lucky dog! So many GLOVES, Bruce! It sounds like you have so thoroughly enjoyed yourself! Though my pup isn’t as fond of GLOVES and STICKS as you, he would have joined you in the search for those elusive SANDWICHES! Too sweet! Bruce, like all living creatures, has his own take on things, and I enjoy the reading of it. Ah Bruce I do so love your stories. 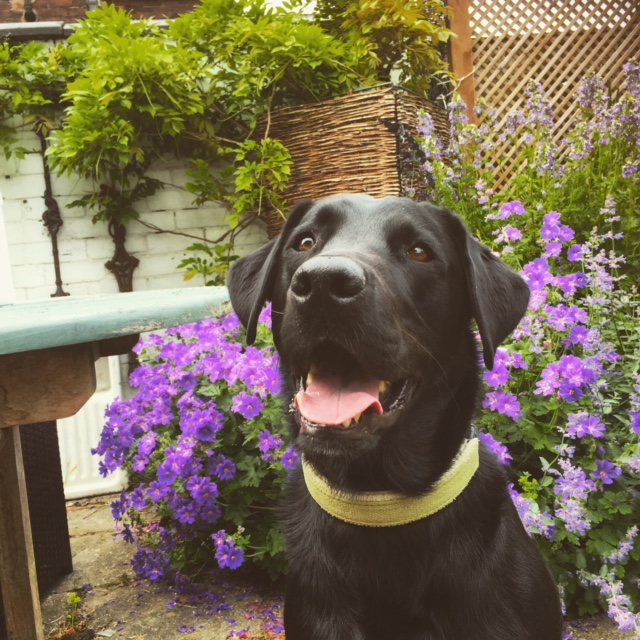 Angus says he hopes you enjoyed the sandwiches and that he can never understand why joining a picnic is wrong either!! Sounds as if Sue and Wal had a pretty good deal, too…except maybe not for Wal whilst in Springfield Park. I tjink you should ask Kate how to open those boxes with sandwiches. That would give a walk in the park even more enjoyment. 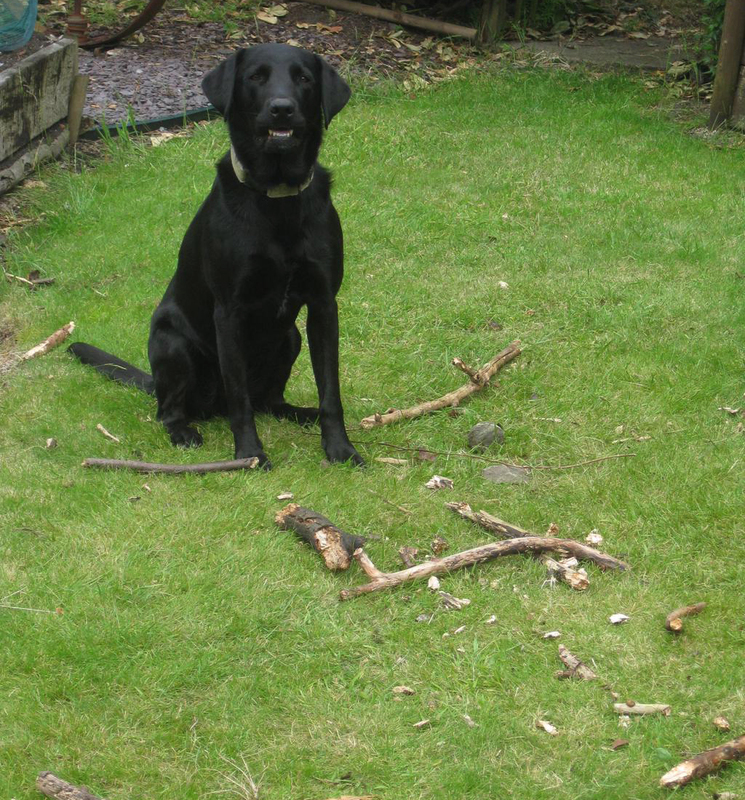 And sticks…………..o yeah, they are the best! Unaccountably indeed! Ah the joys of park havoc! The place of parks and SANDWICHES sounds lovely. I think you should be in a children’s book Bruce. I have one just like Bruce at home, named Milo. I suspect he would like vacationing with Sue and Wal immensely as well. The picture with the gloves made me laugh – Glove Gathering would be my Piper’s dream Olympic event! Haha, sounds like you had a wonderful time Bruce!! Nice to hear you’re enjoying a stay in my lovely country. Beware of the heat, keep well hidrated and wear sunscreen, always! And stay away from the sun from 11 am to 15 pm. We’re having a heat wave (a Portuguese one, that means that temperatures rise well above 35º; 38º from where I’m writing, at the moment). Bruce! Those gloves look the BEST! I’m going to see if I can find some right now. ahaha hi Bruce! I have to tell you that we have all of that here and more. Did you ever visit a beach? If you didn’t, ask Kate and Tom to take you there! shhh! don’t tell him about the lovely beaches!